What kind of role should a root canal treatment play in addressing your cavity? That can depend on when your cavity was discovered, and how serious it is. When you keep up with regular dental exams, you make it more likely that any issue with tooth decay you experience can be identified and treated before a root canal is needed. However, if your decay has had time to grow severe, you could find yourself in need of treatment to deal with an internal tooth infection. 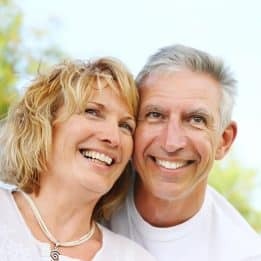 At this point, your Londonderry, NH dentist is ready to offer a root canal, and fully restore the health of your tooth. In addition to carefully taking care of an infection, our practice can use a modern approach to treatment that prioritizes your comfort. How Serious Is Your Cavity? The severity of your cavity will dictate how your problem is managed. If the cavity is recently formed, it can be small enough to be managed with a dental filling. The placement of a filling is the most conservative option for restorative dental work. This solution leaves your healthy tooth structure intact, as the filling only occupies the space where decay had to be removed. If your cavity is serious enough to have reached your pulp, in the center of your tooth, your dentist has to perform a root canal to make sure an infection is managed. At this stage, a dental crown is needed to protect your tooth. Our practice is committed to offering a superior treatment experience when you need advanced restorative dental care. Nitrous oxide and single-tooth anesthesia can keep you comfortable while you are treated, and after you leave our office. You can also count on our practice to help you manage more complicated issues with your dental health by performing more complex endodontic treatments (treatments that address your tooth’s internal health). When you brush, spend more time on reaching every area of your teeth. Brushing more forcefully is not a good substitute for time and thoroughness. Floss each day, as doing so will protect the areas of your teeth that are difficult to reach by brushing alone. Look for ways to cut back on your daily sugar consumption. 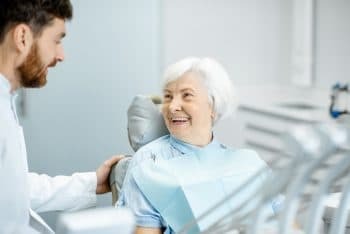 At My Dentist in Londonderry, NH, patients who need work done to restore a serious tooth problem can look forward to a quality oral care experience! Our practice is ready to help you deal with internal tooth problems, and we can provide support to help you avoid these issues in the future. To learn more, schedule a consultation with one of our experts by reaching the My Dentist office in Londonderry, NH, today at (603) 965-3407.